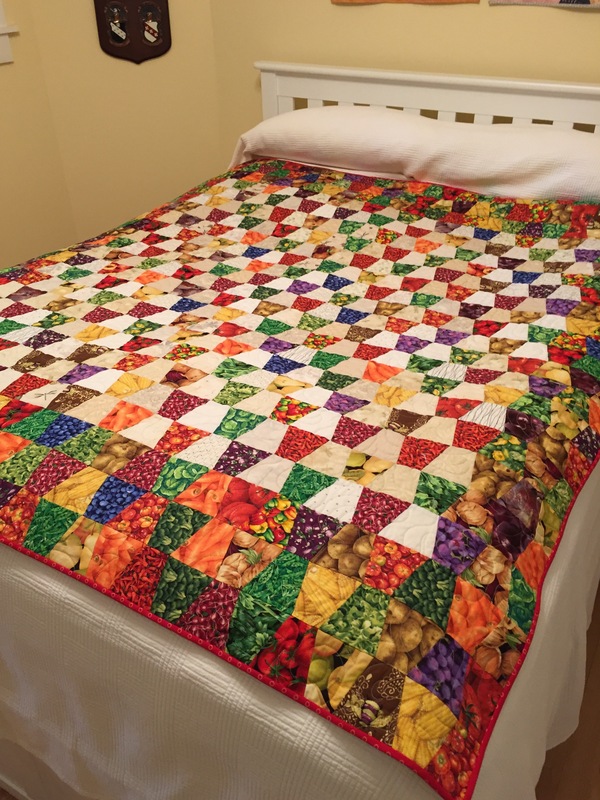 This quilt is either the ugliest quilt I’ve ever made OR the funkiest fun quilt. 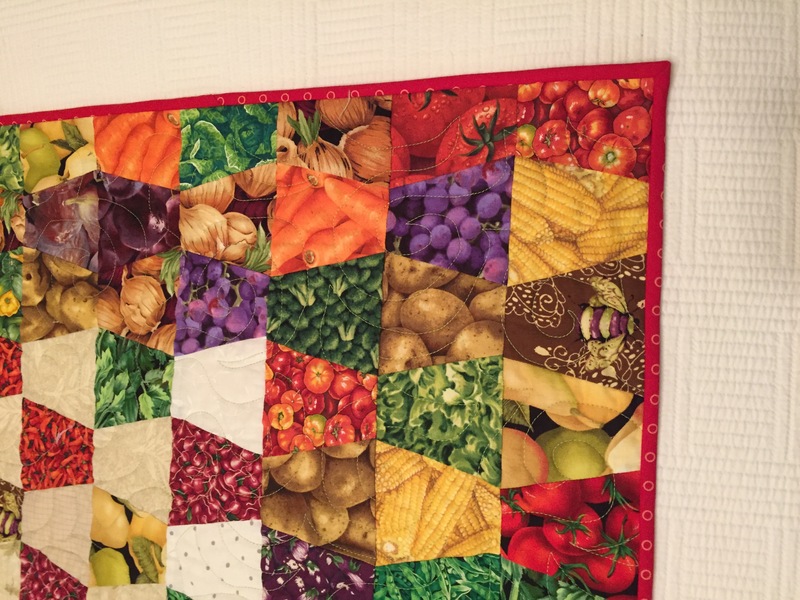 Bonnie Hunter’s current leader/ender challenge is to make a quilt with the tumbler patch. 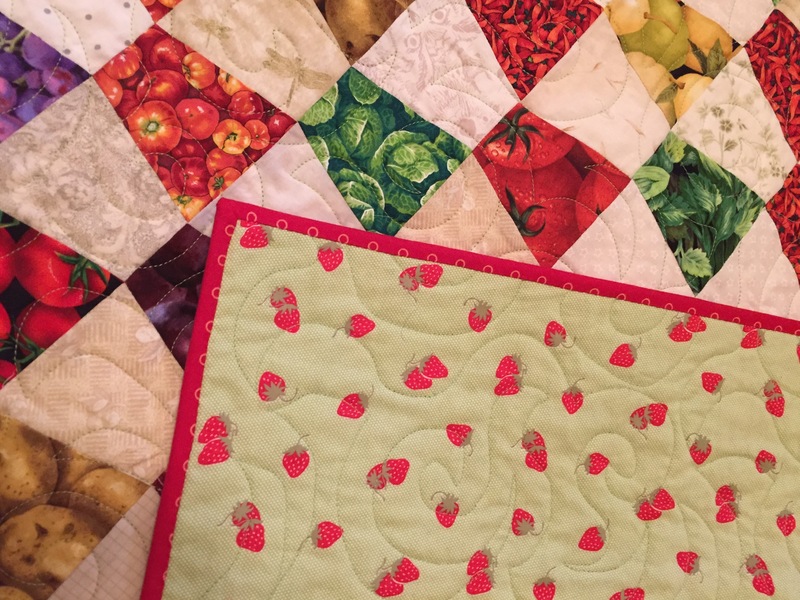 And there is something very sweet about traditional one-block scrappy quilts. 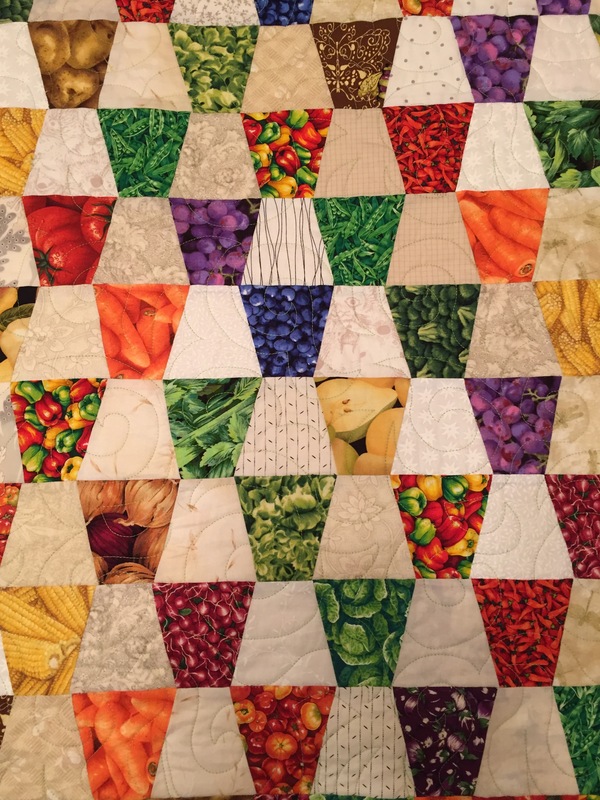 I had a 3 1/2 inch thick sturdy template bought years ago AND a lot of the veggie and fruit prints in my stash. So here’s what evolved. 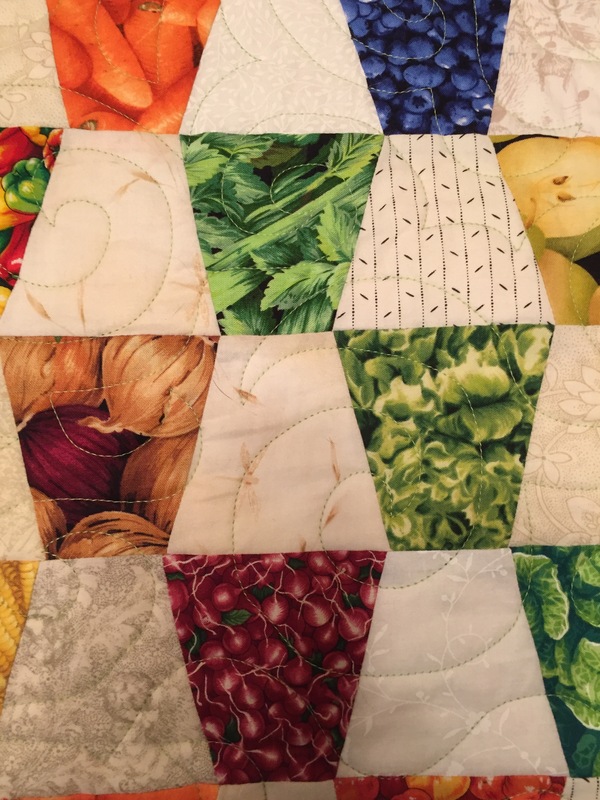 Someone on Bonnie’s FB site for her fans suggested making a darker “self” border by combining dark blocks. Oh, I like it! Such fun fabrics and colors.